Frida starts out with a big squeeze of watermelon. As one’s teeth sink into the soft pink flesh of the fruit, the initial impression is large and lush, with weighty globs of water spraying out in all directions. Things are aqueous, dewy and vibrant. Cleverly, there is a strong sense of something green and spiky underneath the watermelon, adding a verdant bitterness and ensuring that things never feel overtly sweet in the slightest. One gets a real sense of dense tropical greenery, peppered with colourful pink flowers, but the sense is not literal and there’s almost a distance from this scene – a haze that gives the impression of a painted landscape rather than a view from a window. The dry down contrasts the opening half completely. Frida starts out as a jungle-like maze of orgasmically bursting fruit, skyscraper-sized green leaves and finely-tuned tuberose, but somewhere in the labyrinth the mood shifts, the skies darken and things feel a lot more serious. In the base, Frida shows her dark and more masculine side. This is the Frida that wears men’s clothing, smokes cigars and paints pictures of wounded animals – the other side of the painter who imagined images of mouthwatering fruit. 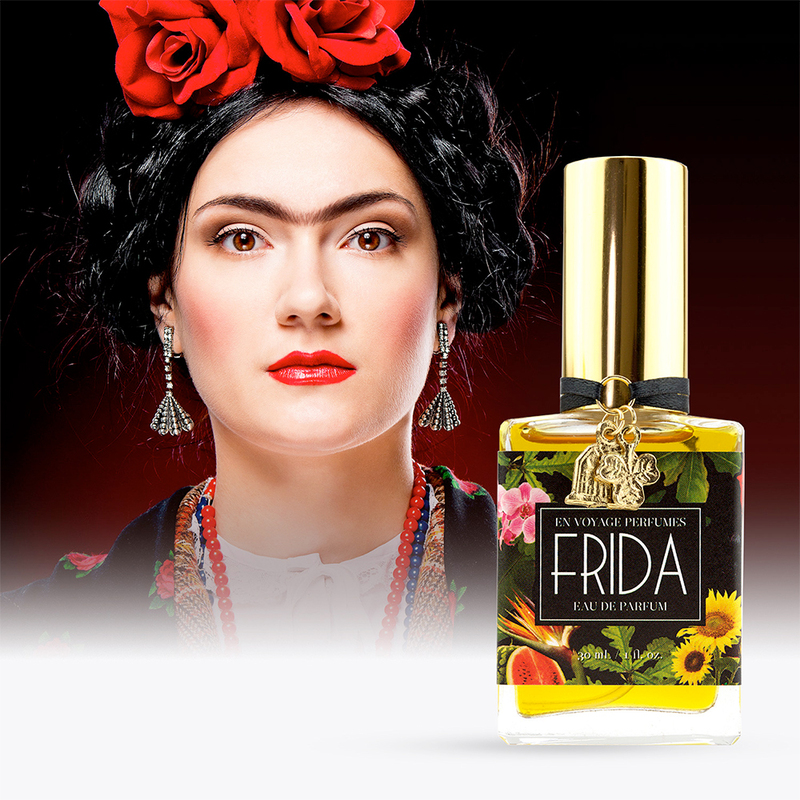 Like Frida the woman, Frida the perfume is an exercise in duality, and the base sees a smoky blend of resinous incense, bitter moss and dried tobacco leaves. The trail Frida leaves on the skin leaves a lasting impression and whilst it certainly feels like a perfume of two halves, the result is cohesive and utterly fascinating. 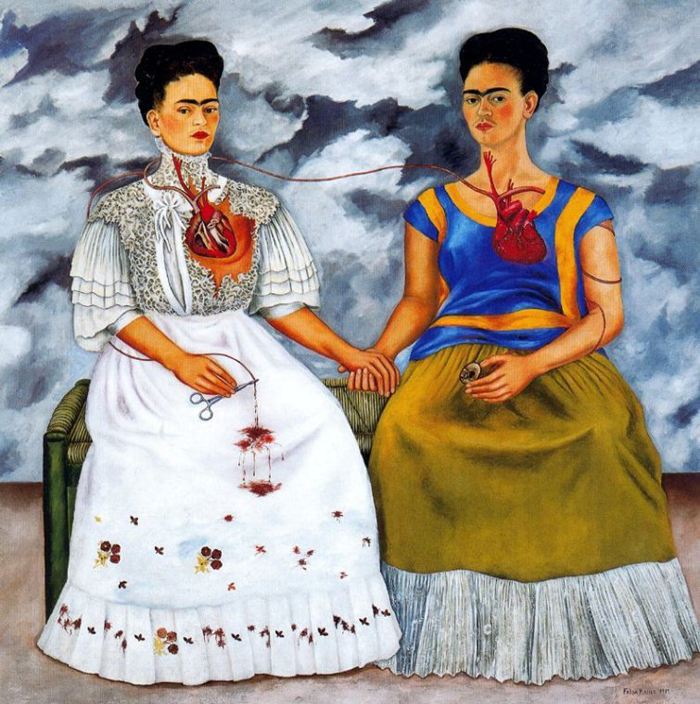 Frida is a breathtaking piece of work. It manages to mix a vibrant sense of colour with a bold, androgynous structure that is entirely unique. The contrasts are strong, with lush watery notes opposed by dry incense smoke and skin-like musk. This is a cerebral kind of perfumery, similar in tone to the work of Vero Kern for Vero Profumo, that is beautifully abstract. Sure, there are botanical cues here and there – nuances that place Frida in that abundant Mexican garden however, the overall impression is entirely more surreal. With Frida (and also, the remarkable velvety magnolia of Zelda), perfumer Shelley Waddington is creating artistic fragrances of exceptional quality. More importantly though, she is placing herself as a force to be reckoned within the world of Indie perfume. I for one, look forward to seeing what else she comes up with. Sample, notes and quotes via En Voyage Perfume. Image 1 via Fragrantica. Image 2 via elsita.typepad.com. Posted in En Voyage Perfumes, Floral, Perfume Reviews, Unisex and tagged Artist, En Voyage Perfumes, Frida, Frida Kahlo, Mexico, Shelley Waddington, Tuberose. Bookmark the permalink. Exactly my experience, Thomas! Lovely, eloquent review. I am glad we’re in tune with this one! Glorious review Thomas, absolutely glorious! Thank you, Brielle. That means more than you could know!